There are only a few strategies that you can use to discount your air travel within Canada. Air travel in Canada is expensive, compared with most other countries. This is exacerbated by the fact that only national carriers can fly routes that are wholly within Canada. While some options exist for discounting travel to the US or internationally, the options for travel within Canada are limited. I can speculate all I want about the reasons for high prices in Canada (and I do below). The fact of the matter is that flying within Canada is expensive. Here are a few tips that might help to reduce your cost of intra-Canada travel. While I have tried to put together a few tips for discounting travel, it is important to note that I have only included things that will reduce your actual cost of your tickets. This is different than reducing the out-of-pocket cost of travel. While you can reduce your out-of-pocket cost of travel by “paying” for flights using credit card points or Westjet Dollars (for example), I will not focus on these as they simply shift value from between your own accounts. The Westjet Companion Voucher is probably the most valuable way that someone can discount travel in the least restrictive way. Basically, when you buy a single ticket on Westjet, a second ticket can be purchased using the Companion Voucher at the rate specified. You would still be responsible for the tax on the second ticket, however, in my experience, Westjet has not itemized every piece of the journey, claiming it as a tax. I would imagine that the taxes are almost always less than $100 for a roundtrip. The RBC Westjet World Elite Mastercard comes with a $99 companion voucher each year you have the card. If you fly cross-country regularly, this could be a good way to discount your travel. The RBC Westjet Mastercard is not my favourite card in the market as it earns $1.50 Westjet Dollar / $100 spent (ie 1.5% return in the form of Westjet Dollars) and has an annual fee of $99. For regular spending, you could do much better than this with a 2% World Elite card (BMO World Elite or Capital One Aspire World) or Scotiabank American Express (4% on gas, grocery and restaurant, 1% on everything else). However, this card is a good one to have as you can basically buy a $99 companion pass each year, for the cost of the annual fee. Note that this card currently gives $250 in Westjet Dollars as a sign up bonus as well. As an example, a Toronto-Calgary flight might cost $650 roundtrip, inclusive of taxes. Assuming you and your spouse travel this each year 1 or 2 times (you could get one card in each of your names), then you could save about $350 each time you travel, limited to the 1 time / year for each card you have. Air Canada is a member of Star Alliance and flights can be “bought” using miles from programs affiliated with Star Alliance, such as Air Canada Aeroplan, United MileagePlus, Singapore Krisflyer or many others. The easiest of these programs for Canadians to participate in is Aeroplan. The major advantage with Aeroplan miles is that you can book a trip with a stopover in North America. If you have the TD Aeroplan card, then you will also get your checked baggage fee waived on award tickets. 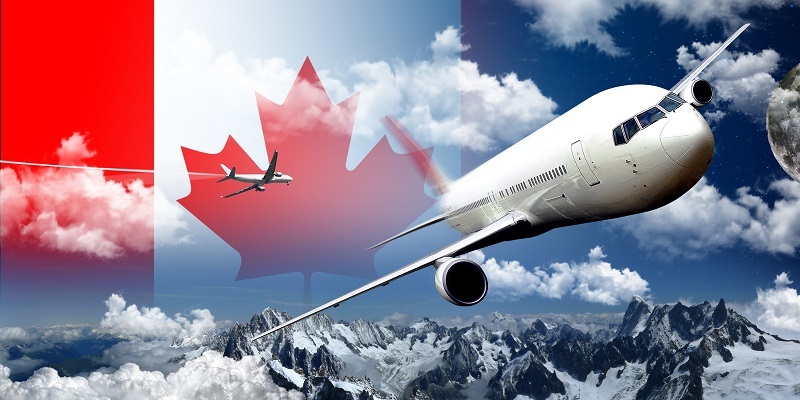 The major disadvantage to this program is that fuel surcharges are added into the “tax” portion on flights operated by Air Canada, thus reducing their value significantly for flights within Canada. The fact that an Aeroplan reward ticket allows for stopovers within North American means that you can actually get more “trip” than you otherwise might have thought. This means that the trip to Halifax will have no additional mileage cost. The best way to earn Aeroplan miles within Canada currently is through credit card sign up bonuses. 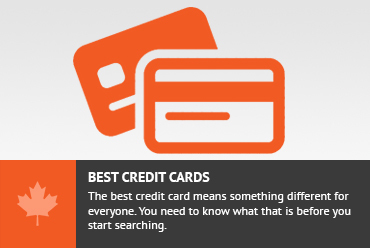 Personally, I think that earning Aeroplan miles through credit card spend is not ideal for most Canadians, but there are situations where it might make sense. Unless you believe you are much better than average at getting great value from your Aeroplan miles, I think that a 2% World Elite card or a Scotiabank Amex card would be a better fit for you than earning Aeroplan miles from credit card spend. Westjet has a frequent flyer program where they rebate WestJet Dollars when you fly with them. While this program will allow you to get a fixed amount rebate on flights, it won’t very much help to REDUCE the cost of your flight at this point because it will still cost you a fixed amount of Westjet Dollars, which are tough enough to come by. Westjet also partners with other carriers, such as American Airlines. Flights on Westjet can earn American Airlines Aadvantage miles. Unfortunately, American Airlines Aadvantage miles cant be used to buy tickets on Westjet flights. As a result, using frequent flyer programs to discount intra-Canada flights would limit you to targeting flights on Air Canada. Air Miles will let you buy your flight based on a schedule. Looking at the award chart, it looks like it would cost at least 4000 Air Miles for a single ticket from Alberta to Ontario during the summer. The prices change based on season and region flown. While there might be ways to get excess value from this program, I have struggled to find any good values as a Torontonian. I find that redeeming 95 miles for a $10 point of sale discount at Metro (grocery) or Shell (gas) tends to give me better value. You may find that you can get better value if you are flying certain roués that are priced well. When flying within Canada, a way to get a very small rebate on your purchase is to use an online travel agency, such as Expedia or Travelocity, and link to them via a shopping portal. The shopping portals pay small commissions for booking through Expedia and Travelocity though the amounts tend to be very small. Using ebates, you can get $1.25 back on each Air ticket you buy from Expedia. Using Great Canadian Rebates, you can get $1.50 back for each flight you book. There are some American sites that pay a % back on air purchases. If you are paying in USD, then this is a good way to get a good rebate. If you are paying in CAD, I imagine that the spread from the exchange rate might be more than you would save by chasing the portal discount that is usually limited to 1% return. Check out www.cashbackmonitor.com for a comparison of the sites. I regularly advocate for using alternate airports for your journey. I live in Toronto and have access to Buffalo airport, which is often much cheaper for certain routes than Toronto Pearson Airport is. I believe that in Buffalo Airport’s absence, some fares from Toronto would be much higher. For travel within Canada, unfortunately, there are not too many alternate airports options. Flying to a close US Airport might save you money. For example, I have seen flights from Buffalo to Seattle going for $300 when flights between Toronto and Vancouver are going for $800. Depending on how you value your time and convenience, you can try an alternate airport for your origin or destination or both. See my series on using alternate airports here, including Buffalo Airport specifically. While I dont know for sure, here are a few reasons that fares are so high within Canada. These may not be the only reasons, but they definitely help contribute to higher fares, even if they are not individually a culprit. These also may be things that we as Canadians value and are willing to pay a higher airfare to support what they are intended to support. Within Canada, only Canadian national carriers that are allowed to fly cross country routes. On top of this, itineraries that are routed between 2 Canadian cities must remain wholly within Canada. This creates a de-facto monopoly / oligopoly where the 2 main carriers of Air Canada and Westjet have relatively immunity on pricing. This means that prices remain high due to a lack of real competition in the marketplace. Canadian airports are very high relative to other countries (I believe that Toronto Pearson airport has the highest airport taxes in the world) which further push up the price the consumer pays for airfare. I also believe that being a national carrier comes with certain responsibilities. While I am not certain, I understand that Air Canada and Westjet are required to provide service to certain areas, even when routes are not profitable (say Ottawa to Iqaluit). If this is the case, then presumably the profitable routes, such as Toronto-Vancouver might be priced higher than otherwise necessary, to offset the losses that might come from a money-losing route. There are a few ways to discount your air travel within Canada. The bigger discounts tend to require some affiliation with a credit card, but can add up to some real value. Don't subscribe All Replies to my comments Notify me of followup comments via e-mail. You can also <a href='https://www.creditwalk.ca/comment-subscriptions/?srp=4045&srk=2648578ecea05c83754707575dc5a494&sra=s&srsrc=f'>subscribe</a> without commenting.